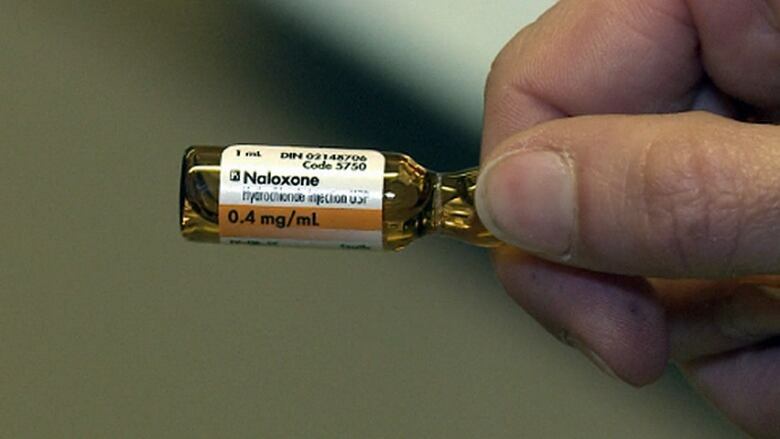 An alarming number of overdoses in Montreal over a short period has been tied to a significant increase in the potency of street heroin, a drug many public-health workers say is being laced with fentanyl. That's a prospect that one drug user calls "terrifying." An alarming number of overdoses in Montreal over a short period has been tied to a significant increase in the potency of street heroin — a drug that many who work in the public-health sector say is being laced with fentanyl, an opiate up to 100 times stronger than morphine. That's a prospect at least one drug user in Montreal calls "terrifying." Montreal Public Health is not commenting on how many of the deaths are related to the relatively recent arrival of fentanyl on the black market, but a CBC News investigation has found the powerful prescription painkiller may be responsible for at least several of them. 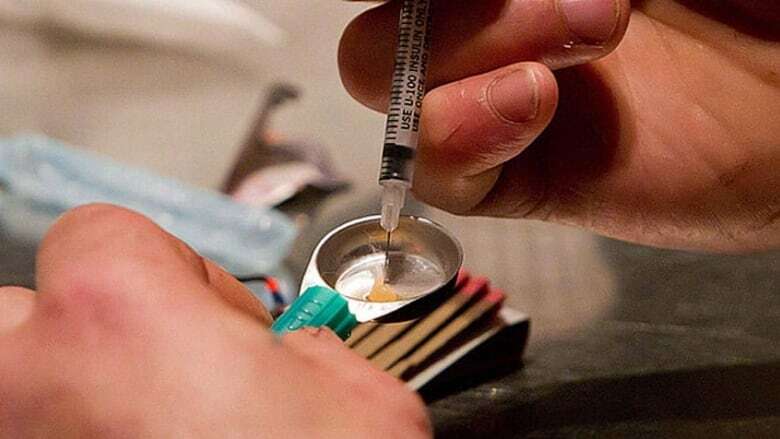 Dr. Sophie Gosselin, a toxicologist and emergency room doctor at the McGill University Health Centre (MUHC), points to a recent case involving a young woman who arrived at the Montreal General Hospital with symptoms not typical of heroin usage. The patient’s boyfriend told doctors she had consumed the same volume of heroin she normally took. Gosselin said the woman’s lips were swollen and it appeared as though she had suffocated. “We thought maybe this was a case of allergy or anaphylaxis to a contaminant, which prompted us to report the case to Public Health and to obtain specimens in the blood and urine for toxicology testing,” Gosselin said. The tests confirmed the woman had ingested fentanyl, in addition to heroin and cocaine. Fentanyl was created in the early 1960s, and for years was used only in hospitals as an anesthetic. The more recent development of new delivery methods like that of the time-released transdermal patch made fentanyl a popular painkiller that is often prescribed to people with chronic pain disorders. The small sticky patch is meant to be applied to the skin, after which it metes out a time-released dosage over 72 hours. 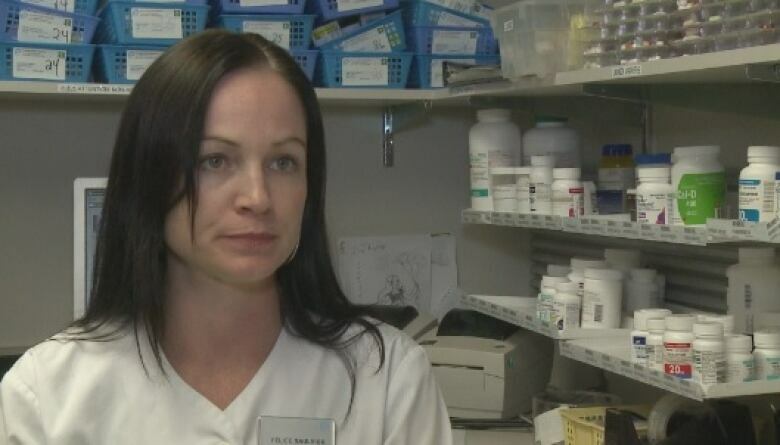 “We’ve had fentanyl here for many years to treat chronic pain, but it wasn’t used by drug users,” said Félice Saulnier, the pharmacist-owner of the Pharmaprix at the corner of St-Laurent Boulevard and Mont-Royal Avenue. Her pharmacy also operates a dispensary for methadone and suboxone — two opiate replacement therapies primarily used by people trying to kick their heroin habit. 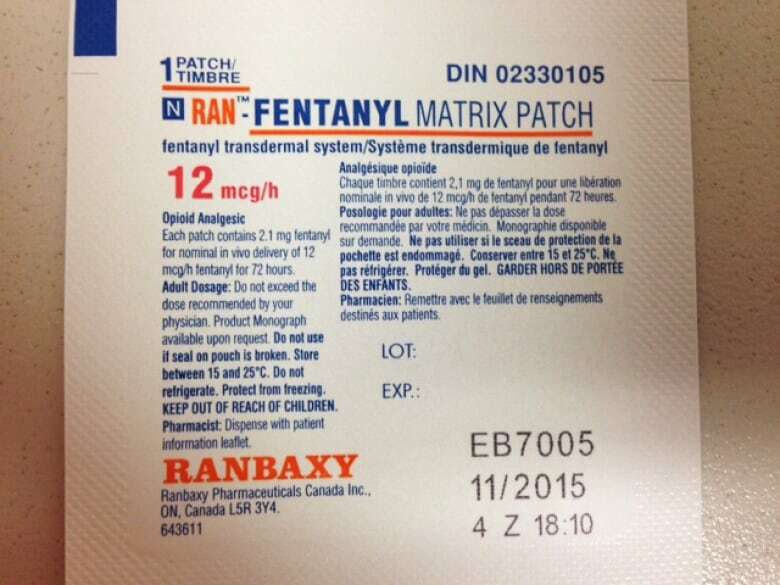 Saulnier said some people who use her methadone clinic have reported using fentanyl, either by damaging the patch to extract and inject, or even smoke, the painkiller. “We don’t really know how they’re getting the fentanyl,” Saulnier said. She was careful not to tie its apparent growth in popularity to Health Canada’s 2012 ban of OxyContin, another prescription opiate blamed for sparking an addiction epidemic. Regardless of the reasons for its appearance on the black market, Saulnier cautioned that fentanyl can kill people in smaller doses than other opiates, prescription or otherwise. Part of the problem, she said, is that fentanyl is measured in micrograms (one-millionth of a gram), while most other opiates are measured in milligrams (one-thousandth of a gram). That means there is significantly less room for error. “Just the difference of a few micrograms can turn the correct dosage into a fatal dosage,” Saulnier said. If opiate users unfamiliar with fentanyl took the same volume of that drug as they would of heroin, the outcome would be unequivocally the same. “They will die,” Saulnier said. Gosselin said that since the young woman’s death, several more cases of fatal fentanyl consumption have been reported in Montreal. Montreal Public Health officials would not give an interview on the subject to CBC News, nor would it confirm how many of the fatal overdoses in the past month involved fentanyl, or whether there had been any additional deaths since the ones reported in early June. However, Dr. Marie-Ève Goyer said the deaths indicate street drugs are being cut with a more powerful substance than people are accustomed to. Goyer is an HIV and addiction doctor at Notre-Dame Hospital. She also works at CRAN, a Montreal research and assistance centre for opioid users. She said that a year ago, she and her colleagues began noticing people coming in with injection wounds far more severe than they’d previously seen. Since then, Goyer said injection heroin users have told her they’ve noticed their drugs turning a different colour than usual when they prepare and cook them. Goyer said that’s another clear indication street drugs are being cut with another substance. “There’s no reason not to cut heroin to make more money, if you’re a drug dealer,” she said. Kim Heynemand works at CACTUS Montreal, a community organization that works closely with drug users in the realms of prevention, intervention and education. CACTUS also operates a needle-exchange program from its downtown Montreal location. Heynemand told CBC News that opiate drug users have been reporting a stronger strain of heroin than the one they are accustomed to. In some instances, she said, heroin has jumped from an average six to 12 per cent purity, to 40 per cent. She said people were coming in to CACTUS more intoxicated than usual as recently as last week. Goyer said a purer heroin could point to the presence of other, more potent opiates. It’s also possible, she said, that there is more heroin in the product sold as heroin than usual as a way for manufacturers and distributors to increase their market. Goyer has reason to believe, however, that the black market is currently adapting to the growth in prescription opiate addiction by moving into manufacturing. She said the hundreds of thousands of counterfeit pills that were found in recent busts of clandestine drug labs in Quebec support her theory. 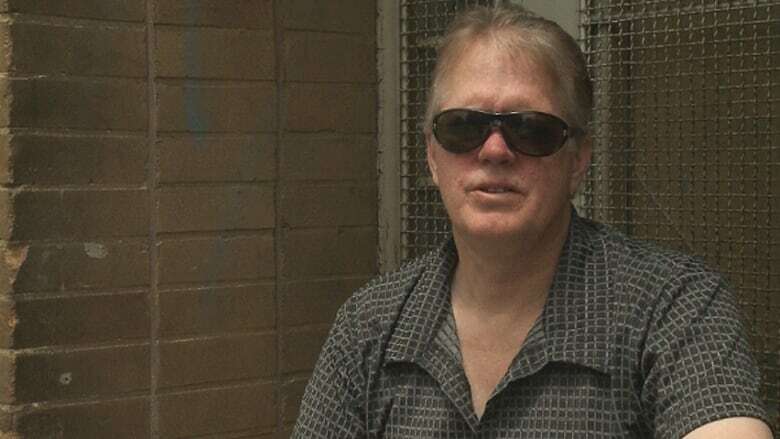 Three kilograms of a fentanyl derivative were discovered in a Montreal clandestine drug lab bust in May 2013. It was the first time — and according to Cmdr. Ian Lafrenière of the Montreal police, the only time — that fentanyl was found in such a lab. There have been a number of busts since the one in which fentanyl was seized. Lafrenière said that just because more fentanyl hasn’t been seized since then, it doesn’t mean it’s not being cut into other drugs. Goyer said she believes fentanyl’s seemingly increased presence on the black market is owed to underground manufacturing. The May 2013 bust, she said, confirmed to the Montreal public-health sector for the first time that fentanyl could be produced and sold in powder form. “It's kind of terrifying, to be honest with you,” said Michael, a heroin user who agreed to speak with CBC News on the condition his last name was not used. He is referring to the recent overdoses and how they point to heroin being cut with new unknown substances. He said he lost a friend to an overdose last month. Michael got into heroin at age 16; he began shooting it intravenously when he was 30. He was homeless for a while, but now lives at Métad’Âme, a live-in peer-assisted drug rehabilitation centre in Hochelaga-Maisonneuve. Now that he’s older, Michael said he uses heroin only occasionally, and is careful to do it as safely as possible. But considering the number of overdoses, the barometer for measuring safety has shifted dramatically over recent months. The overdoses in Montreal come at a time when fatal opiate overdoses are on the rise in Canada, according to a Canadian Drug Policy Coalition report released in mid-June. British Columbia’s Fraser region was the site of 13 fatal opiate overdoses in the first four months of 2014. The B.C. Coroners’ Service linked fentanyl to these deaths. There were 95 fatal opiate overdoses in Quebec in 2011, up from the 51 deaths in 2000, the CDPC report said. The overdoses in May and June in Montreal are triple the usual fatalities during the same period of time in previous instances. “Montreal has always been really bad for overdoses and people dying,” said Heynemand of CACTUS. But every single person interviewed for this story agreed: It doesn’t need to be that way.